Many holidays have been proclaimed for various reasons. Some are important, some are trivial. Martin Luther King Day took a long fight to become a holiday, Columbus Day has largely passed on without a fight. But October 25th is one holiday that could be added to our calendar, a holiday that celebrates something I am rather fond of. It is St Crispian’s Day, and it celebrates the English Language. 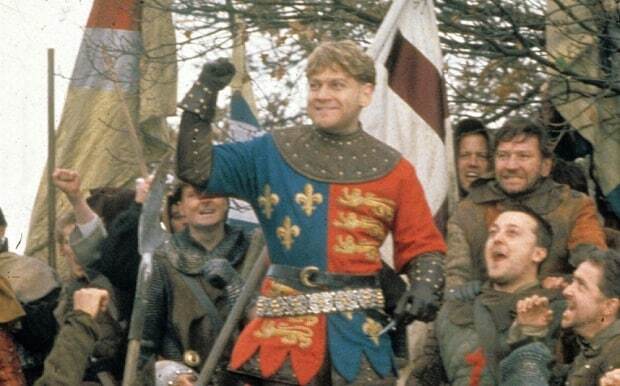 We would not be aware of this minor saint’s day had it not been for William Shakespeare, and his desperation to find a hook that tied to the Battle of Agincourt in 1415. It happened to have occurred on October 25th, the feast of Saint Crispin. The setting is the day before battle, where they are outnumbered five to one. It’s not looking like it will be a good day, but Henry is not deterred one bit. 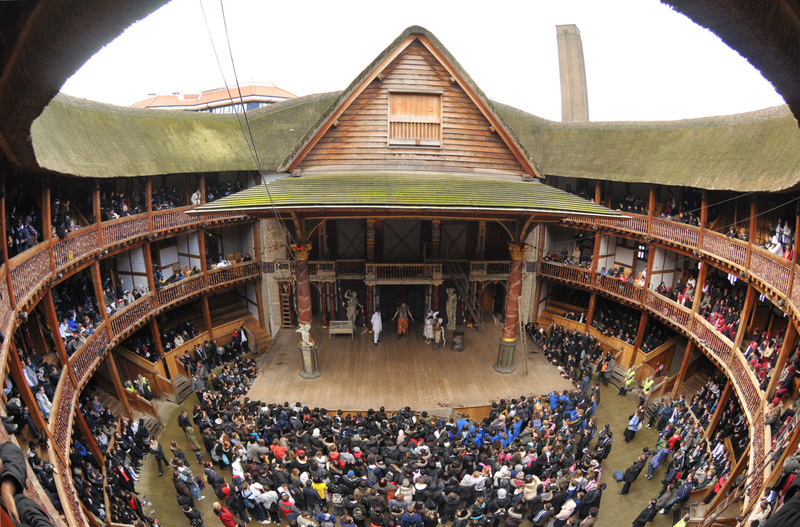 It’s his job to whip up the troops – played well by the crowd at the Globe Theater. A reconstruction of the Globe Theater, giving some idea what it was like for “Henry” to address the “soldiers”. What’s that got to do with the English language? Quite a lot. Henry V, like all English monarchs, spoke French at the court he inherited from his father. They were, after all, Normans; a Viking people civilized as Frenchmen who had taken England in 1066. England was ruled by French, and that’s the way it was. When Henry Hotspur (so named for his love of charging into battle) decided to enlarge his properties in France, he did something else first. He changed the court language over to English, that guttural tongue of Saxons and lower classes. His plan was that, from now on, the world would know that England ruled the French. And Hotspur had the troops, from the humble Pikemen to the Welsh Longbowmen, on his side. God’s will, I pray thee, wish not one man more. The longbow, in the right hands, could fell the most well equipped knight. At Agincourt, they did in the hundreds. 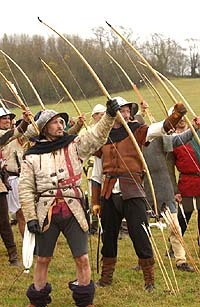 But as we all know, they lived that day at Agincourt, and the Welsh Longbow cut the French knights to ribbons. English became the order of the world from that day forward. Actually, it took another 400-600 years, but the English saw the way it was going. Shakespeare knew that the forward progress of English from a language of peasants to the ruling language of Europe needed a hero. Henry Hotspur was his man. The stage and the props and the drama were only present to set the moment. The true art was in the language that stirred the hearts of men centuries hence. It was English, nothing more nor less than the noble language that rose up from humble stock. Henry was the mythological figure that delivered it to them, a gift for St Cripin’s Day. This entry was posted in People & Culture and tagged Crispian, English, Shakespeare. Bookmark the permalink. According to the book I recently finished,_1000 years of annoying the French_, the English rubbed sel into the French wounds by not even getting the name of the town correct. ‘Twas actually “Azincourt.” Apparently, there is a long history of the English naming battles against the French incorrectly.